﻿ Body Shop Vitamin e Cream Exfoliator Review: Is It Really Good? 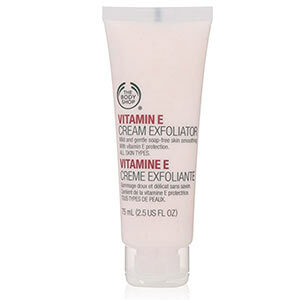 The Body Shop Vitamin E Cream Exfoliator doesn’t just sweep away dirt, oil, and other impurities. This scrub infuses the skin with antioxidant protection to shield the skin from damage caused by environmental aggressors. The Body Shop Vitamin E Cream Exfoliator uses a blend of exfoliating ingredients and vitamins to remove dull, dead skin and protect the skin from damage caused by environmental aggressors. 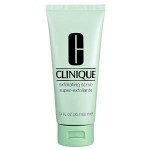 For best results, gently apply The Body Shop Vitamin E Cream Exfoliator to your wet face in small, circular motions. Be sure to avoid the delicate eye area, as this product may cause dryness and irritation. Once the product has been applied to the entire face, rinse away with warm water. You may use this treatment up to two times per week. Be sure to follow up with your preferred skincare treatments, such as toners, moisturizers, and an SPF of at least 30 during the day. The Body Shop Vitamin E Cream Exfoliator appears to have been discontinued. It is no longer available for sale on any reputable websites. Vitamin E: This ingredient is intended to shield the skin from damage caused by environmental aggressors. Jojoba Esters: These ingredients remove dirt, oil, and other pore-clogging impurities from the skin. The Body Shop is a well-known, trusted skincare brand. 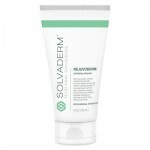 This product exfoliates away dirt and other pore-clogging impurities. This scrub contains Vitamin E, which protects the skin against environmental aggressors. 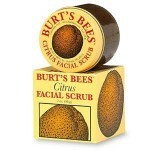 This scrub contains fragrance, which may be irritating for those with sensitive skin. 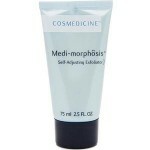 Customers claim this product caused their faces to break out in pimples and rashes. The Body Shop Vitamin E Cream Exfoliator claims to be a soap-free, gentle, exfoliating cleanser that removes impurities and infuses the skin with protective antioxidants to shield the skin from damage caused by environmental aggressors. Although this may sound like the perfect scrub to implement into your weekly skincare routine, there are several issues we’d like to address first. Primarily, this product is problematic due to the fact that it’s no longer sold on any reputable websites. The Body Shop appears to have discontinued this product, and it’s not difficult to understand why. This scrub is packed with parabens, fragrance, and other known irritants. With continued use, this product will likely cause more harm than good. We’d recommend continuing your search for an irritant-free scrub. The Body Shop Vitamin E Cream Exfoliator appears to have been discontinued and is no longer available for purchase on any reputable websites. If you do manage to find this product online, be sure to reach out to the individual distributor to determine whether or not this product comes with any sort of money back guarantee or return policy.